Patrick Leigh Fermor had been a boy in The Grange. Although his school career ended abruptly and prematurely, he always retained great affection for the place and in particular for the buildings. His response was not merely negative, however. 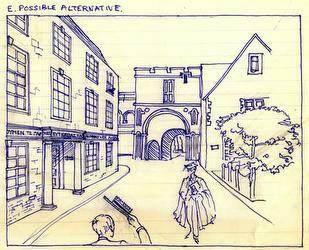 Ten pages of ‘Notes on the Projected New Houses at the King’s School, Canterbury’ included several illustrations of possible alternatives in a variety of architectural styles. Despite his intervention, the School went ahead with the scheme. 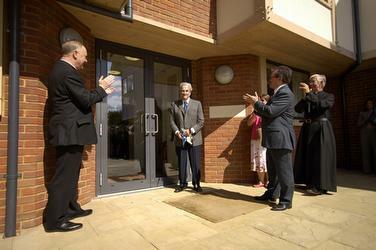 Thirty years later, Sir Patrick returned to King’s to open the New Grange on the St Augustine’s site. This entry was posted in Paddy in the News, Uncategorized and tagged King's School, Patrick Leigh Fermor on March 4, 2012 by proverbs6to10. The memorial service that took place on 15 December at Saint James’s, Piccadilly was a moving tribute to Paddy, whilst at the same time being a tremendous celebration of his life, and the music, poetry and people that he loved. The order of service is here for you to see. If there has to be a highlight it was John Julius Norwich and his daughter Artemis Cooper singing versions of D’Ye Ken John Peel and Widdecombe Fair translated into Italian by Paddy. After this Lord Norwich gave a lively and affectionate Address about his good friend of over fifty years. Artemis has to be congratulated for organising such a successful memorial service which gave a nod to Paddy’s boyhood by including the excellent Crypt Choir of King’s School Canterbury. This entry was posted in Paddy's Death and tagged Artemis Cooper, John Julius Norwich, john peel, King's School, music poetry, Patrick Leigh Fermor, widdecombe fair on December 16, 2011 by proverbs6to10. Sir Patrick Leigh Fermor, one of the school’s most distinguished former pupils died on Friday 10 June. Born in 1915, Paddy Leigh Fermor was in The Grange from 1929 to 1931, when his school career came to a premature end. For his own view of the school see the final passage in Memories of King’s. He had a distinguished war career, especially in Crete. His involvement in the kidnap of General Kreipe was later the subject of the film Ill Met By Moonlight, directed by another OKS Michael Powell. He is widely regarded as the best travel writer of the twentieth century. A Time of Gifts (1977) and Between the Woods and the Water (1986) describe his journey across Europe in the mid-1930s. 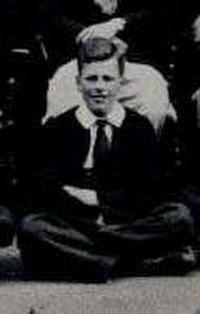 He returned to the school on several occasions, most recently in 2007 to open the new Grange boarding house. Many tributes to him can be seen here: Patrick Leigh Fermor. This entry was posted in Paddy's Death and tagged King's School, Patrick Leigh Fermor on June 24, 2011 by proverbs6to10. 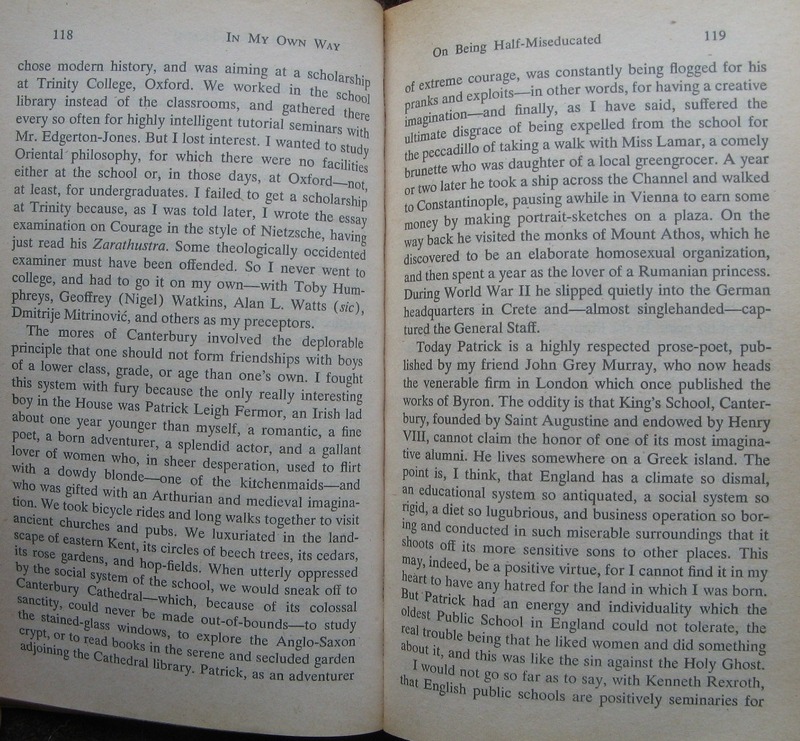 We all know that Paddy was asked to leave King’s School Canterbury for what today would be called ‘inappropriate behaviour’; holding hands with ‘a ravishing and sonnet-begetting beauty’ of twenty four years of age. She was the local greengrocer’s daughter. In this short contribution to the school website recalling Paddy’s memories of King’s, she does not get a mention. This entry was posted in Paddy in the News and tagged King's School, Patrick Leigh Fermor on April 20, 2011 by proverbs6to10.